A new era of volatility will test the high-mindedness of investors, as well as the theory that socially responsible strategies can weather downturns better than conventional strategies. Along with the effect of overall market volatility, socially responsible investors are looking for answers to nine other big questions for the coming year. Is the ‘war on coal’ over? 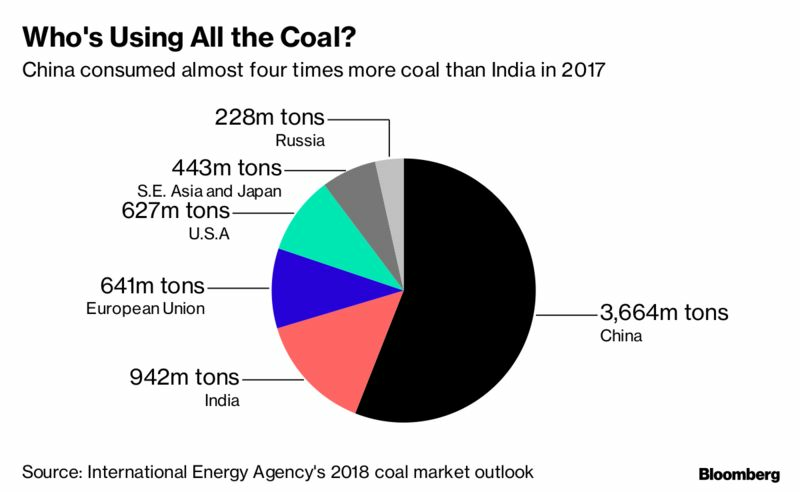 U.S. natural gas, which upended the energy industry over the last decade, is expected to have another good year, bringing coal’s share of power generation down to 26 percent in 2019 (it was 30 percent in 2017), according to the U.S. Energy Information Administration. While the White House is trying both to unwind Obama-era climate policies and create support for coal among industries that have already moved on, development banks are among the latest to turn away from the dirty, climate-changing fuel. Will women win? Eight new exchange-traded funds (ETFs) and $179 million in assets focused on gender issues were added in first three quarters of 2018. In 2019, investors are likely to broaden their focus to opportunities and products for lower- and middle-income women, said Amit Bouri, chief executive of the Global Impact Investing Network. How much is too much? Low-cost ETFs from Vanguard and BlackRock have brought new attention to fees charged to ESG investors. 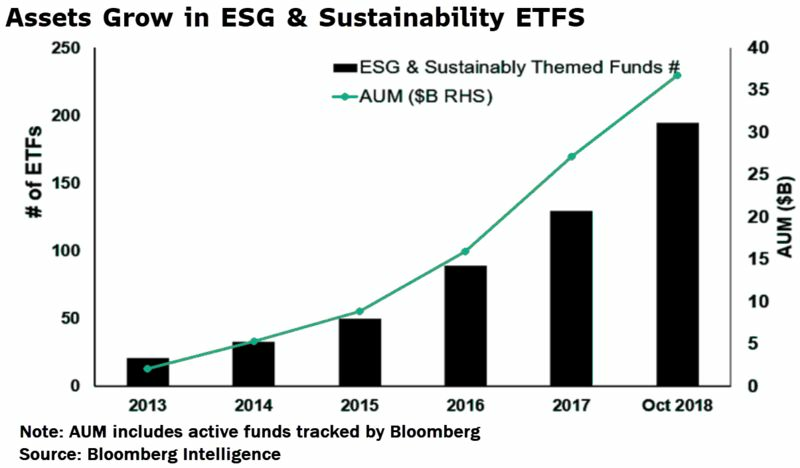 That could lead to more sustainability-themed ETFs—already up fourfold since 2015—according to Bloomberg Intelligence. Can tech be saved? The role of companies such as Facebook Inc. and Twitter Inc. in Russian election interference, political upheaval, privacy breaches and worse hasn’t gone unnoticed in the world of ESG. “Investors will grapple with whether and how competition and antitrust can be used to address tech’s many social shortcomings,” said Michael Connor, executive director at the Open Media and Information Companies Initiative. He said investors will focus anew on Silicon Valley’s impact on human and civil rights, privacy, facial recognition, food waste and workforce diversity. What do the workers think? Speaking of tech, it’s become clear in recent months that some workers aren’t satisfied by broad corporate social responsibility policies. Employees who also own stock have some added leverage: A group of Amazon.com Inc. workers tapped their status as shareholders to petition the company for a comprehensive climate change plan.